Patricia is founder and creator of Joia Consulting with over 27 years experience working in the gem and jewelry industries. She has a broad and diversified background with experience ranging from non-profit and museum development to education and business sales and marketing. As a GIA Graduate Gemologist, Patricia's knowledge and credibility have been tapped into by jewelry aficionados such as former Secretary of State Madeleine Albright who has utilized Patricia as a pro-bono jewelry consultant since 2006. 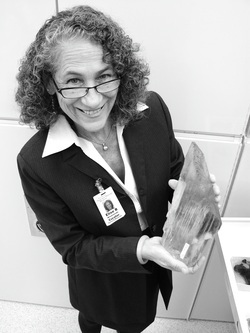 As a consultant to the Smithsonian Institution's National Museum of Natural History in Washington, D.C, Patricia catalogued the entire National Gem Collection. While Director of In-kind Gifts at the Gemological Institute of America, she developed a world-class museum collection of jewelry and made multiple appearances on television as a spokesperson for the Institute. In her role at Jewelers Mutual Insurance Company, Patricia was responsible for the company's marketing relationships with 49 national and regional jewelry industry trade associations and 29 state jewelry associations. 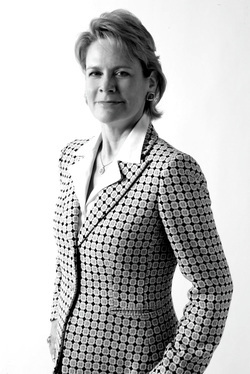 Patricia holds an MBA from the University of Southern California and an undergraduate degree in Business Administration. Additional education includes jewelry design and fabrication, jewelry appraisal, mineralogy and geology courses and credentials as a graduate gemologist and licensed property/casualty insurance broker/agent in the state of California. A GIA Graduate Gemologist, Christine has more than 20 years experience in the gem and jewelry industry, including positions ranging from sales manager to appraiser to consultant, for firms such as Tiffany & Co., the World Jewelry Center, Nova International, and Nordstrom. Christine is a graduate of Penn State University, where she earned a B.S. degree in geology. For 15 years, Christine has been a curatorial assistant and contractor with the Smithsonian Institution's National Museum of Natural History, Department of Mineral Sciences. She has worked on temporary exhibits like the Smithsonian’s popular Allure of Pearls exhibit and projects such as the Gem Hall renovation and “The National Gem Collection” book. 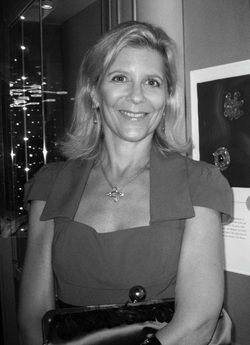 She continues to provide curatorial support and gemological expertise for the National Gem Collection, coordinates trade shows, provides website support, and is the on-air spokesperson & consultant for the Smithsonian programs with QVC. A GIA Graduate Gemologist and published jewelry historian, Elise studied Art History at Knox College. She enjoyed an illustrious 25 year career at the Gemological Institute of America where she started out as a diamond grader, then moved to a position as research librarian in the Richard T. Liddicoat Gemological Library and Research Center before becoming Director of the GIA Museum. A much sought-after lecturer for her knowledge of antique and period jewelry, Elise has spoken at conferences and seminars for such groups as the American Society of Jewelry Historians, the Smithsonian Affiliates National Conference, the Natural History Museum of Los Angeles County, the Jewelry Camp Antique Jewelry and Art Conference, the Gemological Institute of America, and the Gem and Jewelry Society of San Diego. Most recently, Elise is Guest Curator for the highly acclaimed All That Glitters exhibit at the San Diego Natural History Museum.